The McClain family has won a trip to Orlando, Florida from Montlick & Associates! Aviation Structural Mechanic First Class Douglas McClain has been in the US Navy for 16 years, and has had to move his family from Texas, to Maine, and then to Georgia. 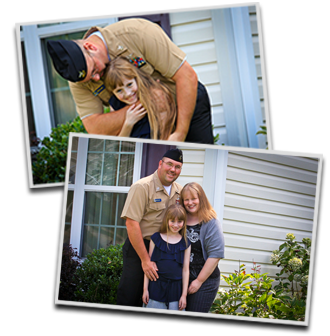 Like many other brave Navy sailors, Doug volunteered to support Army missions in Iraq. During his one year deployment, NAS Atlanta was closed, and when he returned he had to take orders to Jacksonville, Florida. Due to the economy, his wife and 10 year old daughter remain in Georgia to wait for Doug to retire from the US Navy in four years. Unlike the many previous moves, the economy proved too difficult for the family to stay together because Florida has had massive lay-offs of teachers, which is Brandy's profession. This family has embraced the sacrifices necessary for Doug to finish his commitment to serve and protect our country. This dedicated service member, husband, and father drives six hours one way from Jacksonville to visit his family approximately every other weekend. WSB-TV chose the top 5 finalists from entries submitted and then the public voted for the winner on wsbtv.com. 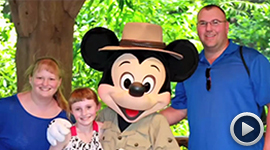 Montlick & Associates is happy to provide the McClain Family with a much-deserved paid vacation to Disney World in Orlando, Florida! This is the Collins family. I have known them for many, many years. James has been in the military for about 14 years and Roshayla has degrees but is a stay at home mom to support him and the kids. They finally got stationed here in the Atlanta area after he had been to Iraq 3 times. He goes on missions to Camp Shelby, Mississippi a lot while Roshayla is here alone with the kids doing a lot of work with the families at his job. She just did a family day at Ft. Gillem yesterday and I dint hear her complain once in that heat. Most recently, they have been busy helping James family rebuild after the tornado in Tuscaloosa. With the rebuilding, his stuff at Camp Shelby, and her raising the two boys the best she can when he is gone AND the stuff she does at his job, they deserve this special get away. Just looking at them, I see that military life is a completely different world. The Crowder's are truly an all American family. Charles has been in the army for 10 years and his wife Donita has been in the army for about the same period of time. 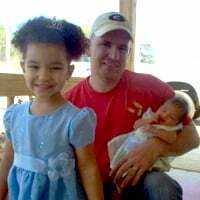 Charles has spent 2 deployments away from his family and missed the birth of his second daughter while deployed to Afghanistan. He works full time at the Milledgeville armory where he is the training NCO. Donita is preparing for her upcoming deployment to Afghanistan in December. Both of these people have given so much to their country, and done it while raising 2 of the most beautiful little girls you've ever seen. I know that a trip to Disney world would be something the little girls, Charlye and Destiny, would remember for the rest of their lives. Charles works so hard to provide his family with what they need. I feel that if you were to pick the Crowder's, then you would be doing something that would help pull this family even closer and give them some memories of each other, rather than the ones of daddy being gone all the time or mommy's leaving soon. They are model citizens, and even better soldiers. I myself am a soldier, and I can think of no other family that would truly deserve something so wonderful and special. I ask you kindly to make the right choice and pick the Crowder's as your prize winners. Thank you and God bless America! I am nominating my son- in-law and daughter's family, the Davenports. He was in basic training when they married, it was graduation day so they didn't have a honeymoon; he had to be back on post a few hours after they were married. In their 1st year of marriage he has missed all of their 1st holidays and some he has missed for 2 years between training and deployment. They have a blended family so together they have 4 kids total. 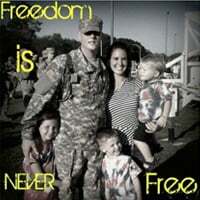 They have 1 son together, he is 9 months and he has missed all but the first 2 months of their son's life and will miss his first birthday in Sept due to deployment. Shortly after his return to Iraq in March from his 2 week leave, they diagnosed their baby with West Syndrome which is a rare form of epilepsy. I nominate the McClain Family. AM 1 Douglas McClain has been in the US Navy for 16 years, and has had to move his family from Texas, to Maine, and then to Georgia. Like many other brave Navy sailors, Doug volunteered to support Army missions in Iraq. During his one year deployment, NAS Atlanta was closed, and when he returned he had to take orders to Jacksonville, Florida. Due to the economy, his wife and 10 year old daughter remain in Georgia to wait for Doug to retire from the US Navy in four years. Unlike the many previous moves, the economy proved too difficult for the family to stay together because Florida has had massive lay-offs of teachers which is Brandy's profession. This family has embraced the sacrifices necessary for Doug to finish his commitment to serve and protect our country. This dedicated service member, husband, and father drives six hours one way from Jacksonville to visit is family about every-other-weekend. 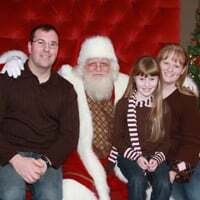 This strong loving family has been separated for over two years now, and would truly benefit from a vacation so that they can reconnect and be a family under one roof even if it is just for a few days. I'm nominating my daughter, her husband and family, the Mudds. 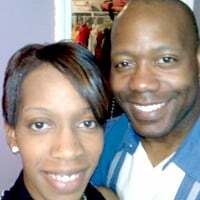 They got married on August 13, 2010, the day he graduated from boot camp in Columbus, Ga. He then was stationed in Hawaii. She didn't go with him because he was going to be deployed soon. She got one trip out there and then he was deployed to Afghanistan for a year. My son- in- law is so special because when he and my daughter got together she had two children and he is raising them as his own. They have since had another child. Jason went into the Army to make sure that he could provide for his family and Brittany is raising the kids which are 2,4,6. Brittany and Jason are beating the odds by having a long distance relationship and it working. They are both hurting and missing each other and this trip could bring back some happiness and family time. In the short 10 months they have been married they've seen each other about a month.